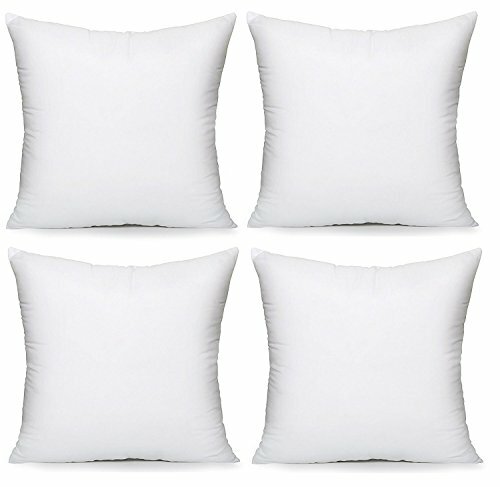 REBOUND EASILY AFTER USE : HIPPIH 20 x 20 pillow insert are made of premium thicken polyester non-woven and highly durable 3D PP cotton, keep full after long use, no worry about pillow inserts' flat thing. KINDLY REMIND : This insert is recommended for 18 x 18 inch sham covers or 20 x 20 inch sham covers. It would provide a plump and full pillow from corner to corner.